Please tell me this is a bad April Fool's joke and not a real movie. It probably cost nothing to make. I could see this piggy-backing on what horror has been doing for the last few years: tell an entertaining/interesting story (emphasizing writing over effects), keep the budget small, make 10x to 50x what it cost to make. I mean, what do you think a small movie is going to look like nowadays? Everything is calibrated to Marvel-sized spectacles. The cost of that cast alone means that this went from a low-budget indie horror into the same range as a medium range horror movie like Us. They are probably spending nearly their entire budget on casting. I read an article saying those romantic movies they continuously show on the W network cost < $500,000 and take 2 weeks to make. I bet even this cast doesn't cost more than $10M for a months work. This movie might only have to make $20M to make a decent ROI. Then again, it might just be an April Fool's Joke. Bill Murray alone is probably $10 Million. Adam Driver is probably $5 Million. I love Jim Jarmusch, but I have a feeling someone blew a lot of cash here and got very little in return. I'll also leave open the idea that this is just a prank and the trailer is all that was filmed. Bill Murray and Buschemi. See you at the theater. Bill Murray alone is probably $10 Million. Adam Driver is probably $5 Million. Actors may option for lower pay just to do a project that they have an interest in. So instead of seeing it as another pay day, they actually want to be a part of the production and wave their normally high fees just to have fun on set or work with someone that they have admiration for. So I would not be surprised if many of these actors/performers are doing this for a relatively low fee. 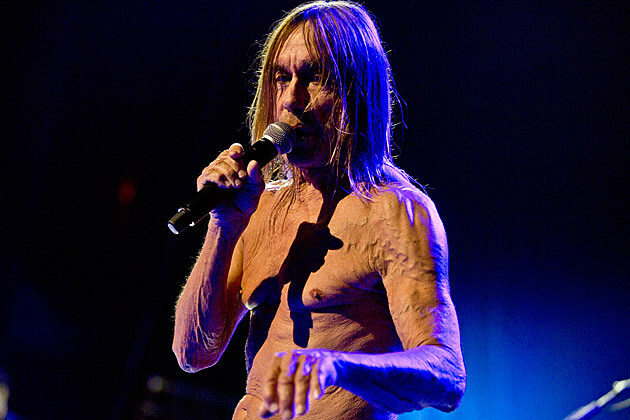 The brilliant thing about casting Iggy Pop as a zombie is that you don't even have to use makeup on him. Zombie film or Iggy Pop concert? Gotta see this. Just bad enough to be good. As an interesting aside, I'm reading a book on the making of The Lord of The Rings. Apparently Sean Astin was paid only $250K for all three movies. Of course, I have no idea what his contract paid on the back side, but that's not really an issue with this film. Only Lover’s Left Alive is a pretty serious vampire film and at the time it was made neither Tilda Swenten (SP?) or Tom Huddleston were big enough actors to break the bank. It’s a great flick if you haven’t seen it. I think he got in good on that one at the right time because Huddleston was still mostly doing British TV and he had only been Loki in like 1 film at the time. It was kind of the same thing with Johnny Depp and Dead Man. Depp was a “name” actor at the time, but he wasn’t getting the $10 Million+ that he gets now. Bill Murray has been known to do stuff for fun and take a cut on the pay and it sure seems like that is what happened here. The trailer didn’t impress me, but I figure there will be enough hilarious one-liners from Murray to make it worth seeing.